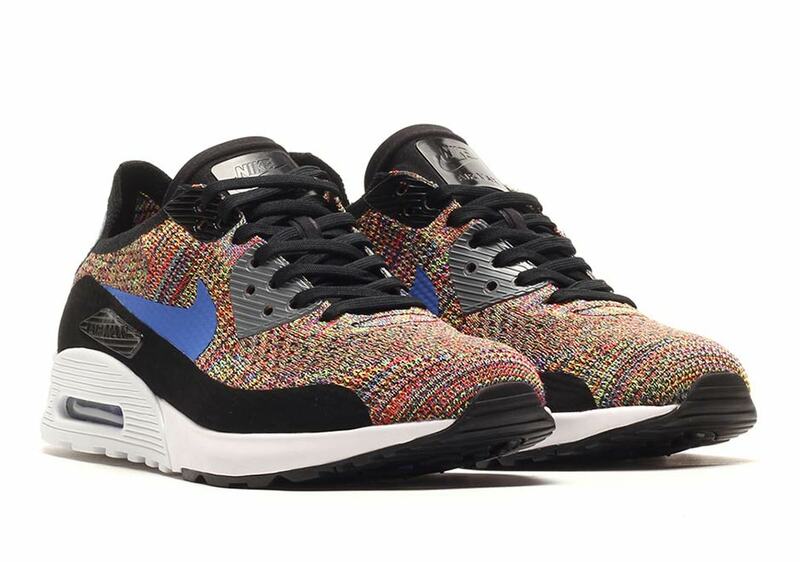 New looks for the new-look Nike Air Max 90 Flyknit continue to trickle in, and this is one you could probably have predicted: multi-color. 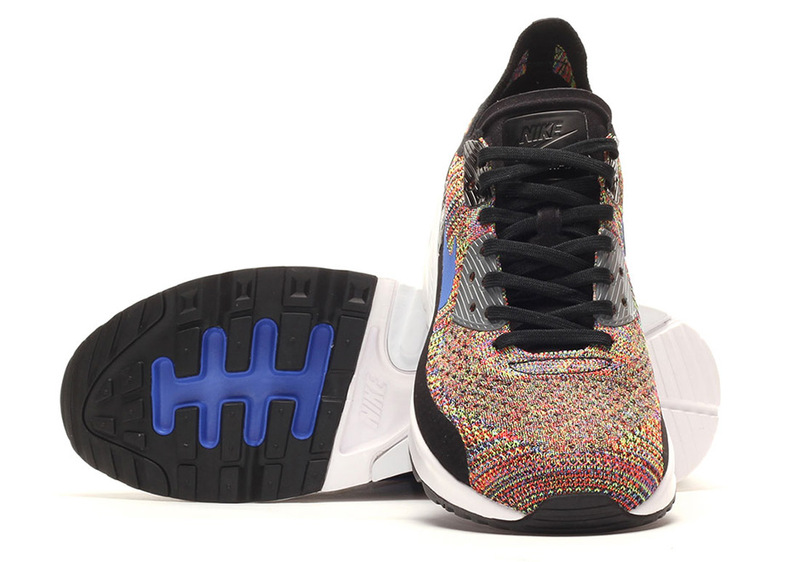 An automatic colorway when it comes to any new Flyknit sneaker from Nike, the rainbow effect does indeed hit the fully woven upper of the redesigned Air Max icon, also with a black mudguard, grey details, and bright blue Swooshes. 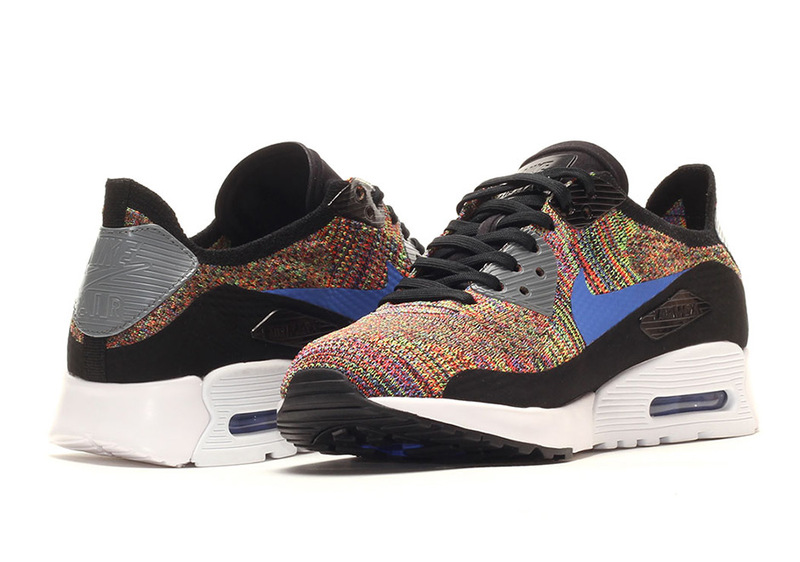 Officially dubbed the Nike Air Max 90 Ultra Flyknit 2.0 (that’s a mouthful, isn’t it? 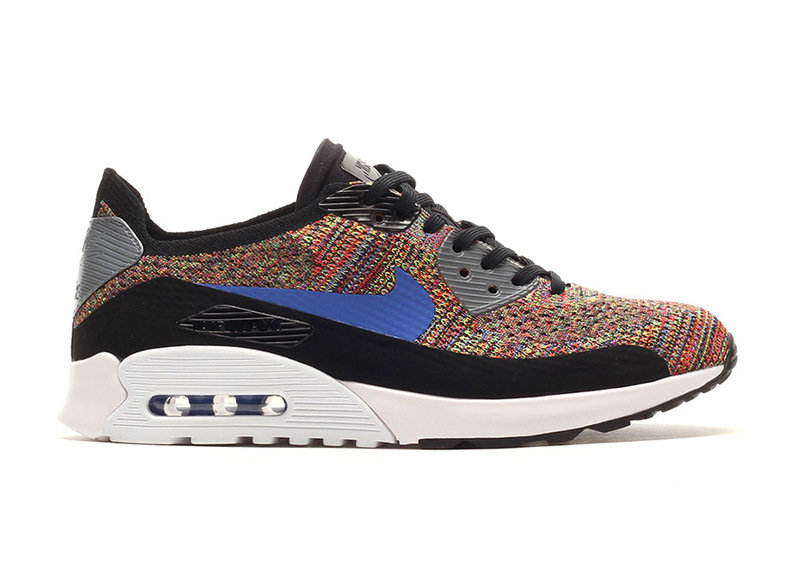 ), this multicolor rendition will be hitting select Nike Sportswear retailers beginning March 2, 2017.